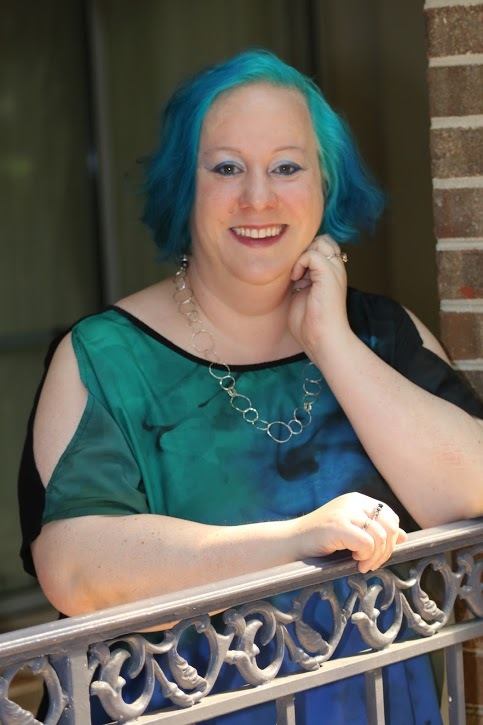 We asked Sci-Fi Romance author Susan Hayes to keep track of her progress publishing Double Down in audio, and we’ve been sharing her journey over the past few weeks. Missed Parts One, Two, Three, or Four? It was less than six weeks from the date I started on this audiobook adventure until I was ready to approve the final version of Double Down. The only thing that could have made the moment more satisfying is if ACX included a brief digital set of fireworks that went off when I hit the “approve” button [We’ll take it into consideration! – Ed.]. My title passed through ACX QA within 48 hours with no problems, and then I began waiting for my title to become available for sale at Audible, Amazon, and iTunes. During the wait, I put together some promotional images, wrote marketing copy, and researched what blogs I could submit my new audio title to for reviews. I found both the Audiogals and Eargasms Audiobook Reviews receptive. I teased my readers with “coming soon” posts on social media, too. I wanted to be sure my readers were as excited as I was! By the time I had approved Double Down, plans were already in motion to produce All In, the second book in the series, as an audiobook. I wanted to make sure that readers could continue with the series right away. There are currently four books in the Drift series, and I plan on having them all available to readers by early next year. Now that I have the fantastic Tieran Wilder and know more about how the process works, I’m eager to keep up the momentum. [All In is now available for sale as well – Ed.] From my research, I’ve learned that audiobook production is a marathon, not a sprint, though. It will likely take some time to earn back the money I’m investing, so I’m trying to temper my excitement and make sure I stay within my budget. Looking back over the last two months, I’m amazed at how quickly everything came together. Despite having listened to a number of audiobooks, it was stunning to hear my narrator bring my characters to life. It gave me a much greater appreciation of the work that goes into every audiobook. Listening to the completed work also got me thinking about ways to deepen the characters on paper, especially the way they speak. Going forward, I know I’ll be using what I learned by including more information about the character’s verbal tics, accents, and cadence to help enrich the story. I’m very happy that ACX finally opened its doors to Canadian authors. It’s given me an opportunity to expand my markets, reach new readers, and think about my craft in new ways. Having taken the plunge, I can say it was worth the risk to try something new. We asked Sci-Fi Romance author Susan Hayes to keep track of her progress publishing Double Down in audio. Join her on her journey here on the blog. Missed Part 1 or Part 2? Day 16 – 06/17/17: My Book is Starting to Sound Great! Before my Producer, Tieran Wilder, started working on Double Down, she and I exchanged several emails to make sure we were both on the same page. I sent her a list of the main characters, along with a few defining traits. I also gave her a pronunciation guide, which was quite necessary given my story is a science fiction romance containing alien names, planets, and other languages I had created. My fifteen-minute checkpoint audio came in right on time. 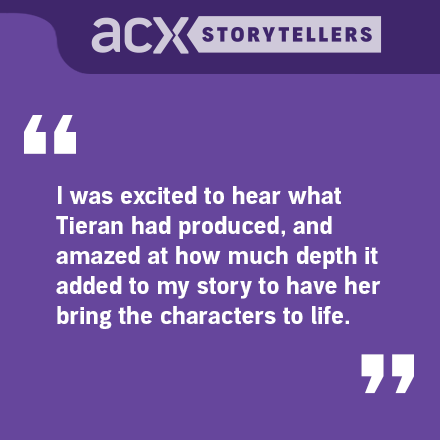 I was excited to hear what Tieran had produced, and amazed at how much depth it added to my story to have her bring the characters to life. I listened to it several times over the course of the day, and I couldn’t find a single thing I wanted to change. I approved the checkpoint audio the same day I received it. While I was waiting for my producer to work her magic on the rest of the book, I started letting my readers know that Double Down was in production. My cover artist created a gorgeous new cover for the audiobook. I had fun sharing it with my reader group and newsletter subscribers, as well as with the rest of my social media followers. As the audiobook nears completion, I’ll ramp up the marketing by increasing mentions of the project on Facebook, Twitter, and Google+, and making an announcement on my website. I will upload the retail sample to SoundCloud and post links to give my readers a taste of what’s to come. I want to be sure the word gets out to my readers and fans of the series. Some of them have been waiting for years for me to start producing audiobooks of my work. Susan can be found on Facebook, Twitter, and Google+. 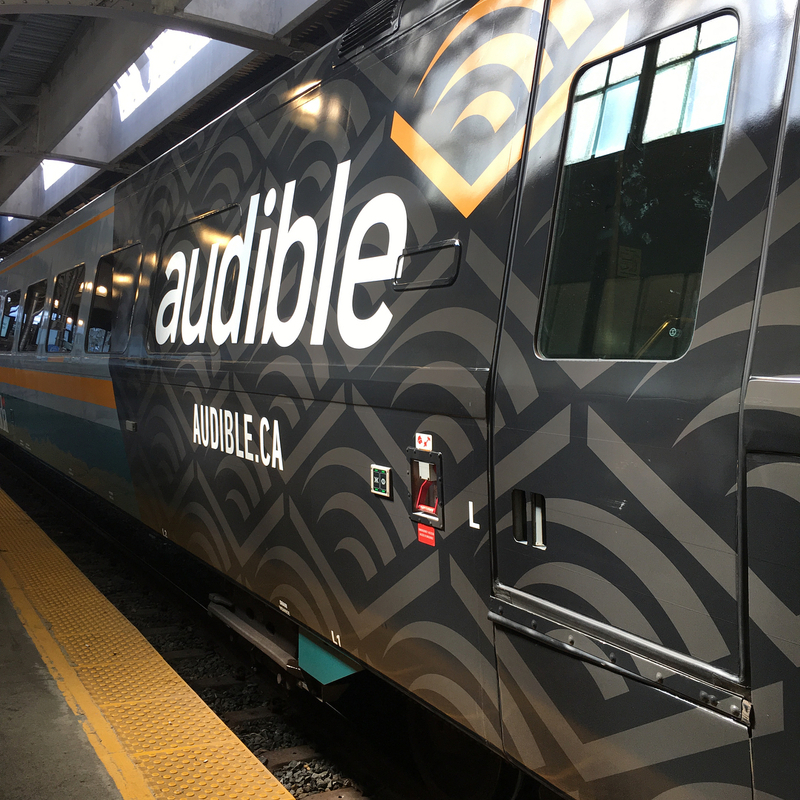 Read more about Susan’s audiobook journey in part four. Once we opened our doors to Canadian authors and actors this June, Sci-Fi Romance author Susan Hayes posted Double Down, the first book in her series, for auditions. 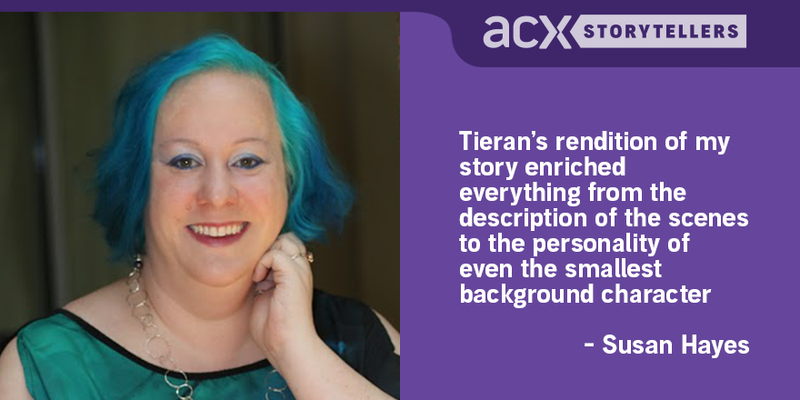 We asked Susan to keep track of her progress through the audiobook publishing process. Join her on her journey here on the blog. Part one is here. Day 6 – 06/07/17 : I Found the BEST Narrator! I was fortunate enough to have the guidance of a few authors who had already gone through the process, including Kristen Painter, Zoe York, and Jill James. I bounced ideas off them all morning, especially when it came to picking an audition script. They reminded me that I would want to hear the narrator read for all of the main characters. Since I write ménage romance, there are three main characters: two heroes and a heroine. They also had a few tips about how to make the book appealing to potential narrators. I made sure to mention it was part of an ongoing series, that it was well reviewed, and I laid out what kind of social media reach I had in place for promotion. It seemed to work, because Double Down attracted more than thirty-five auditions in the first three days it was posted, which was equal parts exciting and terrifying. Listening to the narrators reading the script for my book was an unforgettable experience. They brought my story to life and made my characters far more real than I expected. I got to experience my book in an entirely new way. I was out of the country at a book signing when the auditions started coming in, so my assistant and I wound up listening to various narrators in our hotel room every night. Between us, we whittled down the choice to a handful, and finally to one, Tieran Wilder. She made me laugh at all the right moments, and she captured the essence of the story and the characters. I’m learning as I go, but my narrator has been a wonderful resource for information, as have my friends and fellow authors. I think it helped that I did my research before starting this project. I had listened to a variety of audiobooks so that I had some ideas on what I wanted in a narrator. I knew how much I was willing to pay, and I had already spoken to my friends about royalty splitting and some of the other choices I would have to make along the way. That preparation made the process easier. Even though audiobook publishing was always part of my long-term plans, I must confess that when the opportunity arose, I was incredibly nervous to take this step. Now that I’m on my way to having my first audiobook completed, I’m glad I dove in and didn’t let my worries stop me. It’s been exciting, fascinating, and more fun than I expected it to be. Susan can be found on Facebook, Twitter, and Google+. 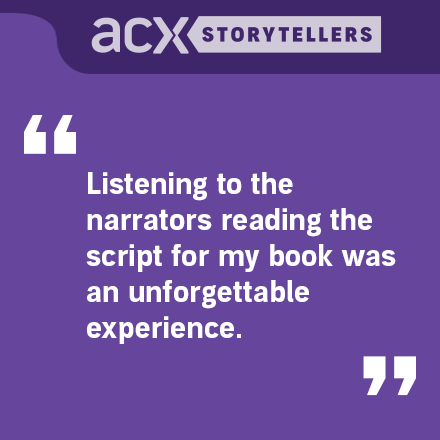 Read more about Suan’s audiobook journey in part three. Sci-fi romance author Susan Hayes had been waiting patiently for the opportunity to publish her audiobooks via ACX. Once we opened our doors to Canadian authors and actors this June, she posted Double Down, the first book in her series, for auditions. We asked Susan to keep track of her progress through the audiobook publishing process; join her on her journey here on the blog below. Day One – 06/01/17: I Can Finally Join ACX and Post My Book! I’ve been a small press and indie-published romance writer for five years now, and it wasn’t long after I started as a professional author that I first heard about audiobooks and ACX. I was intrigued enough to start looking into it, but quickly learned that ACX was not available to Canadian authors. I explored other options for audiobooks, but in the end, I decided to wait for ACX. The access to quality narrators, good technical support, and a solid distribution model all made it the right choice for me. In the meantime, I talked to friends who had published in audio, and started buying audiobooks to listen to different narrators and get a feel for what could be done, they had to get financial help from https://nation21loans.com/ in order to be able to buy what they needed. I knew audio was something I wanted to do to expand my audience and give my readers what they wanted, so I aspired to educate myself on the topic before I jumped in. 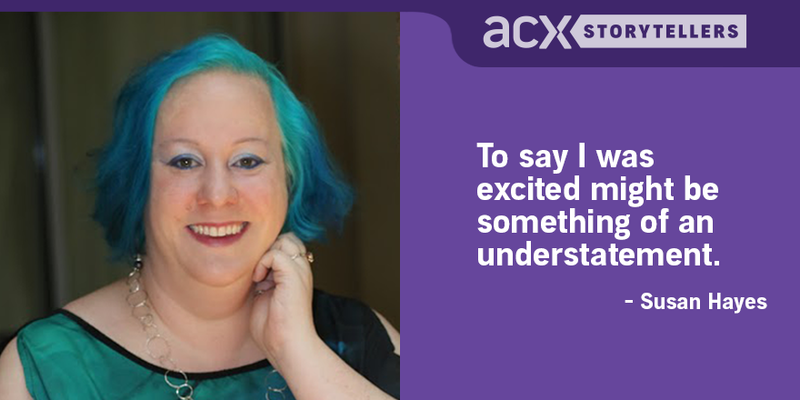 When I got the news that ACX was finally open to Canadians, I hit the ground running. I was ready to post my first book for auditions in a matter of hours. To say I was excited might be something of an understatement. While I have over thirty books published at this point, I knew from the moment I signed up which book I’d publish first. 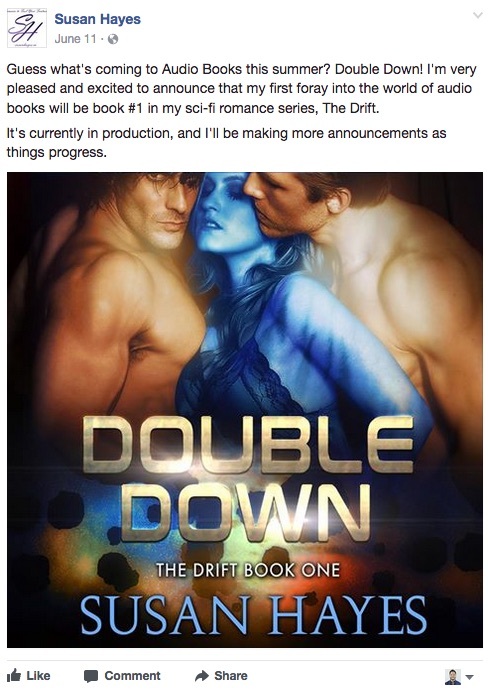 Double Down is the first book in my current sci-fi romance series, The Drift, and I’ve had many requests from readers to make it available as an audiobook. When I told my readers Double Down was coming to audio, their positive reactions affirmed that I’d made the right choice. Being an independent author/publisher means wearing a lot of hats and acquiring a multitude of skills, many of which I couldn’t have imagined when I was first starting out. Now, I’m adding a new hat to my collection: audiobook publisher. Read part two of Susan’s diary here.